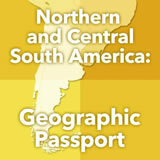 Students are introduced to the physical geography of Northern and Central South America. They identify the countries in this region and explore a map with political, physical, population, and climate layers, and compare and contrast the countries. Then they select two countries and compare and contrast their natural resources as well as the impact of those resources on the economy. Finally, they do independent research on environmental issues in the region. 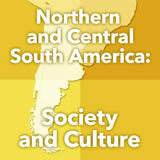 In this experience, students are introduced to the physical geography of Northern and Central South America. They identify the countries in this region and explore a map with political, physical, population, and climate layers, and compare and contrast the countries. Then they select two countries and compare and contrast their natural resources as well as the impact of those resources on the economy. 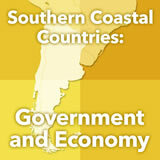 Finally, they do independent research on environmental issues in the region. 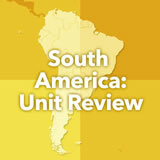 Identify major geographic features of Northern and Central South America. Describe the impact of physical geography on human settlement patterns and land use patterns. Describe major environmental problems that face the region today. The northern part of South America has a number of small countries that you may never have heard of. Some are prime vacation destinations because of their location on the Caribbean Sea. 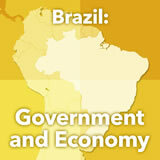 In this experience, you will learn about the geography of these countries and others from the region. The movie is 5:32 minutes long. Have the students watch at least the first 2:30 minutes. What do you already know about South America? Watch this video to see many landscapes of this continent! Three of the countries visited in the video—Bolivia, Uruguay, and Paraguay—are in the region of Northern and Central South America, which is the subject of this experience. 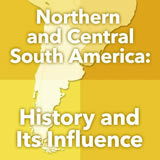 Take a look at this map of the Northern and Central region of South America. How many of the countries can you name? Label any that you can identify. Share your answers with a classmate and see if together you can name any more.